Specialists can be found either by filtering by subject or search. Use the filters to find all specialists in a broad subject. Use search to find specialists in more specific areas. The search takes into account not just the topics but all the additional information listed as well. To search simply enter a phrase or keyword into the search box and the list will filter down to relevant specialist. Click on any name to view additional details. Specialist can be sorted by name, expertise/interest, or department. Simply click on the header. The specialists list is maintained by the Office of Communications. For questions, comments or to submit your information to be added as a specialist please contact Jennifer Nichols Kearns, Director of Communications. Those individuals whose information is listed have agreed to be contacted by and responsive to media requests. Kraig Cavanaugh is an art critic, art history & studio art educator, artist, author, and curator. Receiving both his BFA and MFA from California Institute of the Arts (Cal Arts), he trained with artists such as Michael Asher, John Baldessari, Mary Kelly, and Mike Kelley. His specialties as an art instructor are Color Theory & Design and 19th and 20th-century Art History. Writing freelance art reviews for such print-magazines as Artweek and [San Diego] Gallery News since 1993, Cavanaugh currently contributes art reviews to the online arts forum SanDiegoStory.com (2013–present). Additionally, he was invited to become a member of the International Association of Art Critics-United States (AICA-USA) in 2011. He was also the art critic for the online journal SanDiego.com (from 2009 to 2011), where he received awards of excellence from the San Diego Press Club (1st-place Arts Reviewing in 2009 & 1st-place Arts Reporting in 2012). Eun Jung Park is an instructor in art history at San Diego Mesa College. Her educational and professional background covers many facets of art history, theory, and criticism. Park also specializes in Asian American Art History and also has expertise in the Los Angeles riots. 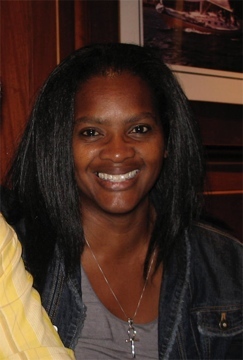 Denise Rogers specializes in African and African-American art, along with modern and contemporary art history and criticism. She's also knowledgeable on non-Western art, feminist art theory, diaspora studies, and visual studies. In addition to being a professor of art history, Denise Rogers plays an active role as Faculty Advisor to the San Diego Mesa College Foundation African Art Collection. Recently, Rogers has organized exhibitions and lectures of the African Art Collection at the San Diego Central Library. She has also served as coordinator for the Humanities Institute. Paul Detwiler is a professor of biology at San Diego Mesa College. His expertise is in marine biology and ecology. He specializes in marine invertebrate zoology (especially the biology of echinoderms) and in the ecology of coral reefs, kelp forests, and rocky intertidal zones. He's also knowledgeable about independent filmmaking. Paul Sykes is the chair of the Biology department at San Diego Mesa College. His background includes both basic biology and marine biology. He received his marine biology training at the highly-regarded Scripps Institution of Oceanography at UC San Diego. He specializes in biology and oceanography, specifically marine zooplankton adaptations and bioluminescence. In addition to his scientific expertise, Sykes is the faculty advisor of the Mesa College Fencing Club and teaches fencing. He is also a member of Mesa's Community Emergency Response Team (C-CERT). Jennifer Carmichael teaches biological sciences classes at San Diego Mesa College. Her expertise includes microbial and molecular genetics, vaccine development, and diseases such as Arthropod-borne Rickettsial diseases. She was also pivotal in organizing "CSI: On the Mesa," an interactive open house of Mesa College's Math+Science Complex. Kimberley Perigo is the chair of the Communication Studies department at San Diego Mesa College and is the Director of the award-winning Mesa College Speech and Debate Team. Her expertise includes both academic and political speech and debate, communication theory and practice, presidential and war rhetoric, and leadership. She also plays an active role in Mesa College's leadership by serving as Chair of Chairs, an integral part of the college's leadership team. Dance - Ballet, Modern Dance, Musical Theater, Hula, Tahitian; Pilates - (posture and rehabilitation of all body parts including but not limited to - neck, shoulders, elbows, backs, hips, knees ankles, and feet), Zenga – Vinyasa yoga, Cardio; Community organizations - Ho'olaulea Los Angeles and San Diego. Cherry Blossom festival and Nisei week in Los Angeles and Hawaii. Aulani Chun is a Dance instructor in the Exercise Science Department at San Diego Mesa College. She is an expert on many different types of dance – including ballet, modern dance and hula. Additionally, Ms Chun teaches Pilates and runs her own studio called "Pilates by the Bay", where she focuses on posture and rehabilitation. She works with community organizations and festivals, including the Ho'olaulea festivals in Los Angeles and San Diego, along with the Cherry Blossom festival and Nisei Week in Los Angeles and Hawaii. W. Duane Wesley is the chair of the Computer and Information Sciences department at Mesa College and is knowledgeable on computer and robotic-based topics ranging from computer science and software engineering to wearable computers and robotics. In addition to this role, he also serves as faculty advisor for the Mesa Robotics Organization. 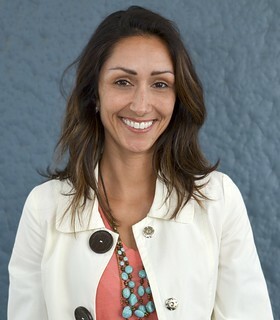 Kristina Ortiz Carson is a general and athletic counselor at San Diego Mesa College. Her expertise goes beyond counseling to include transfer and eligibility requirements for student-athletes. As coordinator of the Mesa Academics and Athletics Program (MAAP), she helps student-athletes complete their educational and athletic goals. Colleen Shipkowski has been an adjunct dance instructor for 18 years. She has a wide range of professional experience as a master Ballet teacher, choreographer, and dance historian. At San Diego Mesa College, Shipkowski teaches and helps choreograph for the Mesa College Dance Company. Sim Barhoum is an English professor at San Diego Mesa College. He specializes in developmental writing, visual and textual rhetoric, and real-world writing. He uses this knowledge in both his classrooms and the San Diego Mesa College Writing Center, where he serves as coordinator. He is also the co-coordinator of the Classroom Tutor Program. George Ye is a writer, producer, and dramatic arts professor at San Diego Mesa College with knowledge and professional experience in dramatic arts and filmmaking. In addition to teaching, Ye also instructs students and directs plays for the Mesa College Theatre Company. He is a member of the Actor's Equity Association as well as the Society of American Fight Directors. Elizabeth Barrington has taught Health and Lifestyles and Physical Education at San Diego Mesa College since 1988. In the early 1990s, Elizabeth wrote and delivered the first online academic course in Southern California and she continues to serve on the San Diego Community College District committee for online education. She has also directed projects and studies on exercise behaviors, drug abuse and treatment, and HIV/AIDS. She has presented her research at scientific conferences and is published in several journals. Madeleine Hinkes has an extensive history in the field of anthropology, which has taken her around the country and to Southeast Asia. In addition to obtaining a Ph.D. in the field, she has worked professionally as a forensic anthropologist. She has served as the consultant to the San Diego Medical Examiner's Office since 1994. Her current role at San Diego Mesa College is the Dean of Institutional Effectiveness. Before that, she was a professor of Anthropology. Joseph Passaro teaches History at San Diego Mesa College. His expertise lies in modern Italy, children's history, the history of education, and migration studies. Helene Lindquist has many years of experience in Interior Design. She has attained the top certifications available from the National Kitchen and Bath Association in Kitchen and Bathroom design, and is also a Certified Interior Decorator. Lindquist teaches classes on Interior Design, Kitchen and Bath Design, and Sustainability in the Built Environment in the Architecture department at San Diego Mesa College. Her Kitchen and Bath Design class is rated in the top 10% of classes in the United States and Canada based on student work samples. Three of her students have gone on to win national scholarships based on classwork. 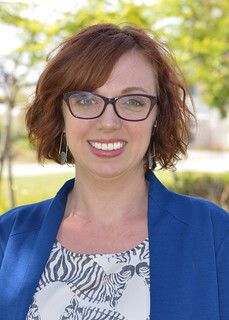 Laura Mathis has many roles at San Diego Mesa College. 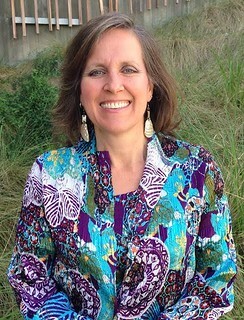 In addition to being a counselor and professor, Mathis is the Counseling liaison to San Diego Metropolitan (Met) High School; the department liaison to American Sign Language/Interpreting, Interior Design, and Architecture; and the personal growth curriculum designer for Mesa's Hispanic Serving Institution (HSI) grant. Mathis is bilingual in English and American Sign Language. 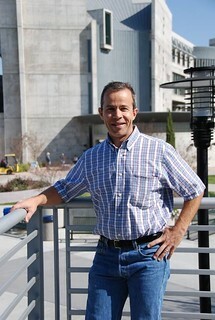 John J. Fusco has been an accounting professor at San Diego Mesa College since 2003. 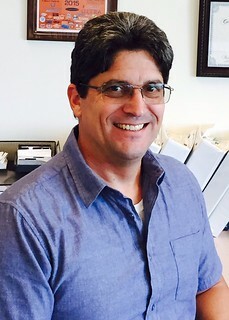 Mr. Fusco currently serves as the Finance Manager for the Vallecitos Water District, where he is responsible for 26 employees across four departments. He manages investment portfolios, daily cash flows, budgets, and rate setting. He is also a Certified Public Accountant and brings this professional experience to the classroom. Fusco is also an avid surfer and inventor. Mixing the two, he invented and patented the Swirleee WaxComb which is marketed by his start-up, Bottom Turn Surf Company LLC. English professor Susan Hogan is an expert in American literature and poetry, as well as multiple areas of Russian culture, including Russian Futurism and Absurdism. Along with minoring in Russian while at the University of Illinois at Chicago, she also earned a Study Abroad Certificate from Moscow State University. She is also well-versed on the book publishing industry, earning a certificate in Book Publishing from the University of Denver and having experience as a project manager for a children's book publisher before switching career tracks to academia. 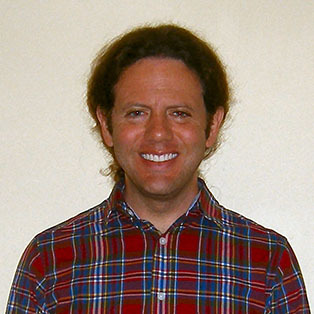 Adam Erlenbusch is a counselor at San Diego Mesa College. He specializes in counseling, personal growth and marriage and family therapy. As a licensed Marriage and Family Therapist, he uses his professional experience to help better serve Mesa students. He is also the Mesa Surf Club advisor and Testing and Orientation Coordinator. Heidi Wilson teaches multiple classes in the Exercise Science and Health department at San Diego Mesa College. She specializes in a wide variety of topics ranging from nutrition to eating disorders to martial arts. 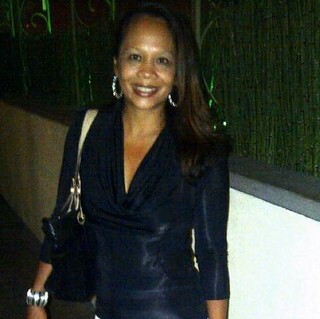 Additionally, she is certified as a Diabetes educator and Martial Arts Referee. N. Scott Robinson has a long history with music. He has performed with musicians from around the globe, including the Grammy Award-winning CD Harlem Renaissance with the Benny Carter Big Band. 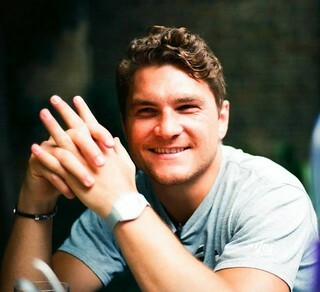 He has also produced two albums of his own music. He has given clinics, attended conferences and panel discussions, and performed concerts on diverse styles of hand drumming for national and international organizations. 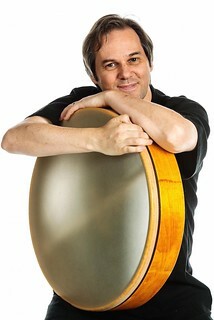 In addition to his role as professor of music, Robinson directs the San Diego Mesa College World Music Ensemble. Before teaching at Mesa, Robinson was a faculty member in music and dance at Towson University, Goucher College, Montgomery College, The University of Akron, Kent State University, and Shenandoah University. For more info, visit www.nscottrobinson.com. Kevin Krown teaches anatomy and physiology courses at San Diego Mesa College. His educational background is centered on animal science and animal physiology, and he is an expert in comparative vertebrate physiology. In addition to his scientific expertise, Krown is knowledgeable on mountaineering along with black and white photography. He is also a Cub Scout leader. Carl Luna is one of San Diego's most-quoted political analysts. 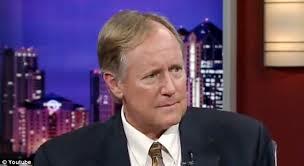 He has provided over one thousand interviews on local, statewide, and national politics for news agencies including KUSI, San Diego Union Tribune, Fox 5, The Today Show, The CBS Morning News, BBC Radio, Associated Press, Los Angeles Times, the Washington Post, and more. Luna serves as director of the Institute for Civil Civic Engagement, a partnership between the University of San Diego, San Diego Mesa College, and San Diego City College aimed at improving the quality of dialogue and civic engagement in our communities. Luna is the co-chair of Restoring Respect, a community initiative that promotes greater civility in San Diego civic dialogue, and is also a Visiting Professor at the University of San Diego. Ph.D. in Political Science with doctoral fields of Political Theory, Comparative Politics, and Quantitative Statistical Methodologies, The American University, Washington D.C.
Lisa Black is a professor of Psychology at San Diego Mesa College. Her specialty is integrative psychology along with neurofeedback and biofeedback therapies, which she is currently working towards a certificate in. 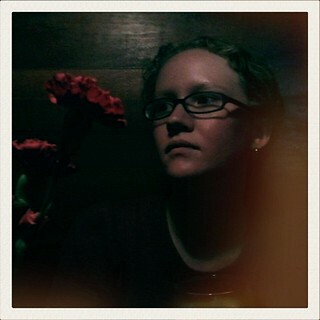 Janna Braun is a professor of Journalism and a student media advisor at San Diego Mesa College. Braun has been the Faculty Advisor for the Mesa Press, Mesa College's award-winning independent student newspaper, since 2005. During that time, the newspaper has been honored by a variety of organizations, including the San Diego Press Club, San Diego Society of Professional Journalists, and the Journalism Association of Community Colleges. Inna Kanevsy is a Psychology professor at San Diego Mesa College. Her expertise includes general psychology, experimental behavioral analysis, and learning and development. She is also knowledgeable on elements of Russian/Soviet Union history, including Medieval Russian culture and dress along with the Soviet Union and its aftereffects. Timothy Smith brings his professional experience as a landscape architect to his classes on landscape architecture. His expertise is in the areas of sustainable design and water conservation. Ashanti Hands has a proven track record in student services at Mesa College. From 2008 to 2015, she served as Dean of Student Affairs at Mesa College. By working closely with Mesa’s 30+ student clubs and organizations, Ashanti increased student engagement on campus through activities and events such as Welcome Week and Homecoming. She was named Vice President of Student Services in early January. In this role, she is responsible for departments including counseling, admissions and records, financial aid, and disability services. Judy Sundayo is a counselor at San Diego Mesa College. In addition to this role, Sundayo is the chair of the Committee for Diversity Action, Inclusion & Equity; a member of Academic Senate, the Crisis Response Committee, and the Mesa Academy Advisory Committee; and liaison for the Black Studies Department. Sundayo has won the Outstanding Young Woman of America Award, the Bob Marley Peace Award, the County of San Diego Drug Programs Services Award, and the Outstanding Service Award from the African Psychological Society at SDSU. 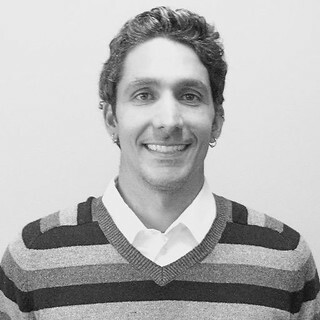 David Palomino has extensive knowledge on topics related to Geography and Geographic Information Systems (GIS). He holds a Master of Science in both fields from San Diego State University and specializes in physical/world regional geography, coast processes and physical oceanography, and GIS/spatial analysis. Palomino is also an expert in surfing and competitive open-water swimming. While not in class or in the water, Palomino serves on the Board of Directors for Gigi's Playhouse, an achievement center that focuses on helping people of all ages with Down's Syndrome or with physical or learning disabilities to develop to their full potential. 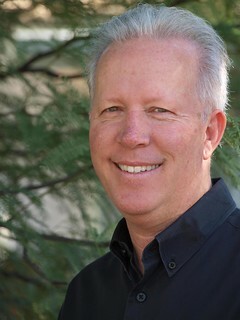 On campus, he is a member of Mesa's Planning and Institutional Effectiveness Committee. Dwight Furrow is a philosophy professor at San Diego Mesa College, but philosophy isn't his only area of expertise: he's also a certified wine educator. He authored a book on food culture in the United States entitled American Foodie: Taste, Art and the Cultural Revolution, and has also been published in food and wine magazines. Bruce Naschak is a professor of English and Humanities, as well as Assistant Chair for Humanities in the English Department at San Diego Mesa College. He has 63 post-graduate units in Humanities disciplines and is also a member of the American Academy of Religion and the International Association for Comparative Mythology. Robert Pickford is a professor in the English department at San Diego Mesa College, specializing in college writing, online teaching, and American literature. His sabbatical project involved the development of hybrid half-online, half-face-to-face English classes. He has published one book (The 7 Signals of Meaning: How Writers Can Say What They Mean). His interests include American writing community writing projects, American music, Jazz poetry, and jazz drumming. While Alan Goodman works in the Music department at San Diego Mesa College, he is well-versed in the world of eBay sales and marketing. As a Platinum-level PowerSeller, he has completed over 50,000 eBay transactions with a 99.3% customer satisfaction rating.